With outfit changes and the services of a professional Makeup and Hair Artist. This is a niche where we can capture your professional portraits just about anyplace or anytime! Custom tailored Offsite photoshoot at the pool, the lake, the creek, the mall, the ranch, the health club, your home or office...the possibilities are limited only by your imagination and desire! Call to discuss your custom tailored Offsite Portable Studio Photoshoot and price. Unlike other photographers, we have No Minimum Portrait Print Purchase Requirements and We Post Our Prices! 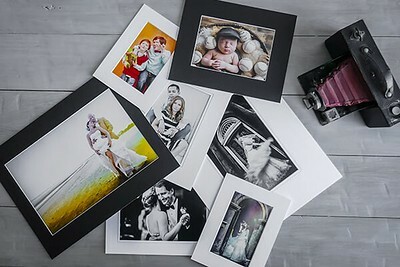 In the unlikely event that you are not satisfied with your portrait prints, you are under no contract to purchase anything! 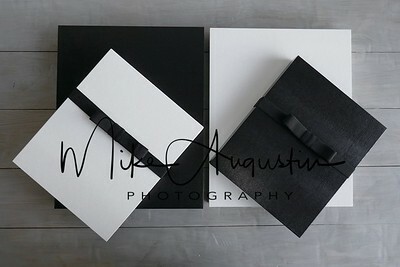 only the printed portraits you love instead of a whole package up-front is the best way to guarantee your satisfaction. We want you to be satisfied with your professional photoshoot. You are under no obligation to purchase anything you do not absolutely love! We will pamper you with a luxurious and relaxing salon experience right in our studio! Enjoy an assortment of confectionery delights, including seasonal treats like chocolate covered strawberries. Sip champagne or a delicious mimosa, chilled Perrier or tea. several wardrobe changes, a personal assistant, and a fully guided photoshoot with a professional photographer. 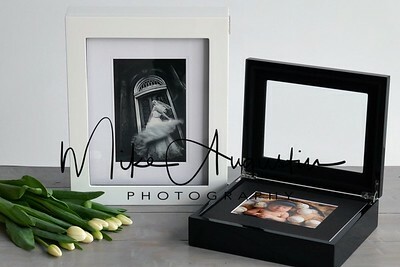 All FOLIO COLLECTIONS include a beautiful elegant keepsake folio box that holds up to 20 matted prints of your most cherished portraits from your session. All collections include a custom crystal USB thumb drive with matching digital files for the purchased corresponding portrait prints. Your next portrait session fee is complimentary and we'll include a $200 credit towards portrait prints or Folio Collections from this future session. Headshot and Branding photo sessions include complimentary professional hair & makeup, with three professionally processed, fully licensed, digital images. Corporate/Business/Professional/Real Estate & Insurance Agent Headshots Conveniently photographed at your office! Call for Group Rates...Discounts begin with 5 person photoshoot. We can photograph the entire office! *Sales tax will be added to all purchases.